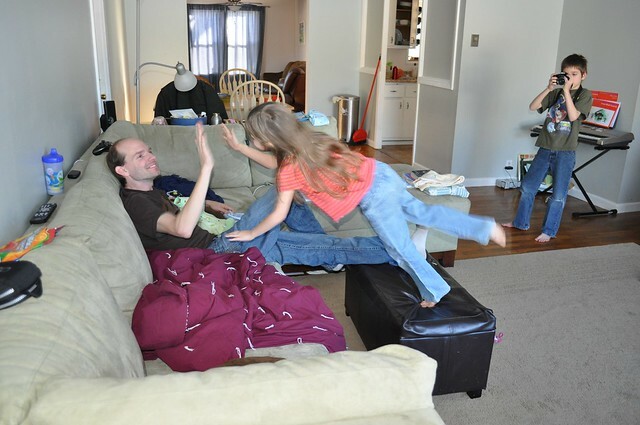 Jada and Aaron were playing a game where she would jump off the footstool onto the couch, giving him a high five. 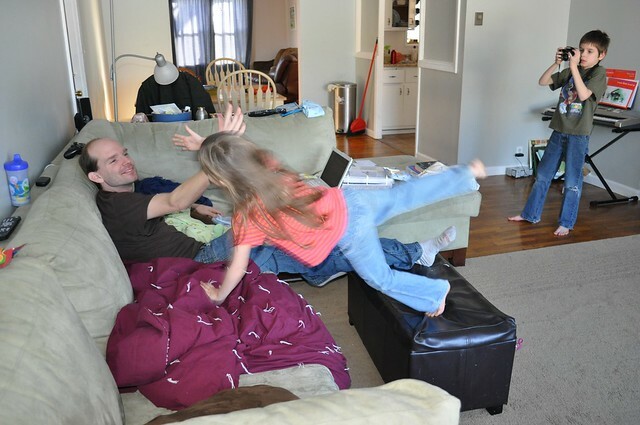 She must be Daddy's favorite, because any other of the kids would have gotten yelled at for jumping on the couch. 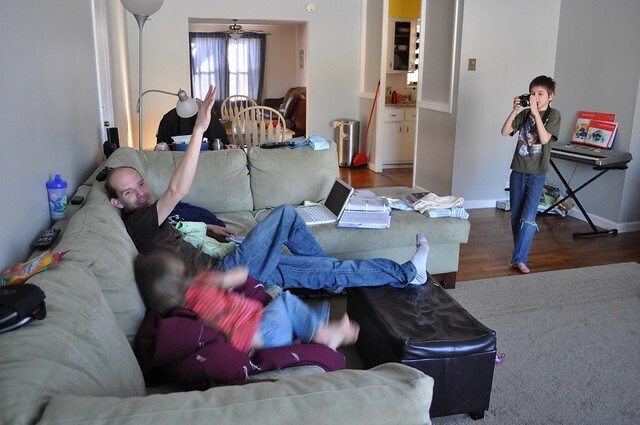 (Josiah is trying to get the perfect picture as well). After she got tired out, she decided to play tickle table (her words, not mine). The other two girls joined in. Then, the unthinkable happened! Rachel began searching on the blanket for something ... her tooth! 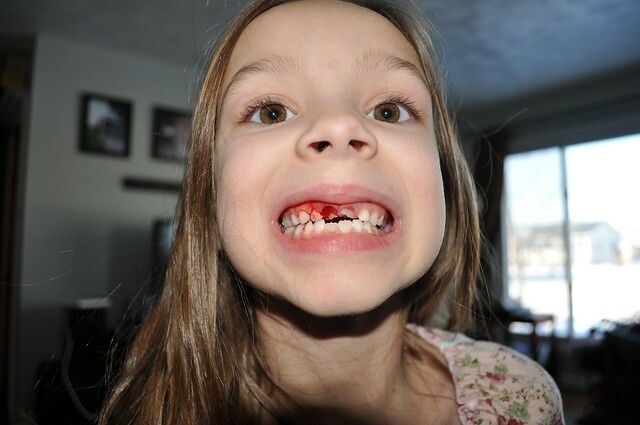 The fun and games ended in her lost tooth ... and no tears (which is a big deal when it comes to Rachel and teeth!!). Yep ... the new tooth is already coming in behind. That tooth was definitely ready to come out! !